Have you discussed your end-of-life preferences with your loved ones yet? 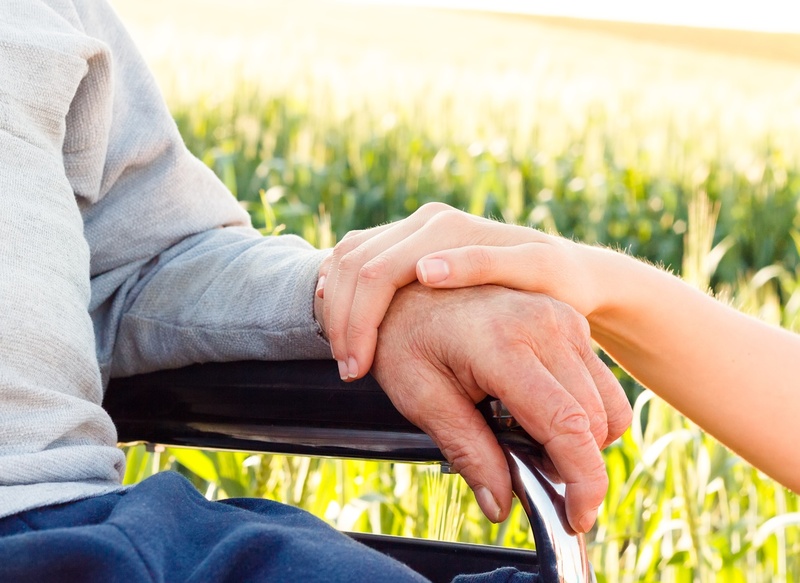 A blessing that came from the Terri Schiavo tragedy is that end-of-life issues have led to better planning strategies and communication among family members. Americans are filling Advanced Directives Seminar classrooms, asking value-clarifying questions of themselves, and being assertive in discussions about their health care options. Many resources are now available to help prepare for and lessen anxieties about this unavoidable subject. Because of the very personal nature of dying and death, many commonly-held beliefs and taboos exist. Unfortunately, some of these strongly-held opinions become barriers in initiating end-of-life discussions. The following “myths” often negatively influence end-of-life decision-making. To “lose hope” depends on one’s definition. Would knowing the truth about a person’s dire condition cause him or her to give up and want to die quickly? This is seldom the case. For a Christian, a spiritual approach, praying with and for them to strengthen their trust in the sure hope of heaven is appreciated. When my elderly grandmother lay in a hospital bed after a major heart attack, my Mom asked that I not “mention she’s dying.” Hours later when she did pass away, I regretted not speaking with her about her impending death. Perhaps I could have comforted her with prayer and the hope of soon entering God’s presence. It is common for a dying person to realize he or she is nearing life’s end, yet wants to spare the family of the emotional pain of talking about it. This is a good time to put oneself in the place of the terminally ill. Ask these questions: Would you want to know the truth about your condition? Would you appreciate saying precious last goodbyes, receiving and giving forgiveness, and finishing other relational “business”? Open discussion with a mix of honesty and compassion before a loved one’s death is a gift to the family during their grief. Sadly, people who are not afforded this opportunity often live with regrets after their loved one passes away. One of the many benefits of hospice (end-of-life) care is the multi-disciplinary, comfort-care approach. Hospice organizations assemble a specialized care team which is responsible for controlling a patient’s emotional, physical and spiritual pain. This team also teaches the patient and family what to expect during the dying process and the bereavement period thereafter. Being prepared and sharing in a loved one’s final days most often makes this difficult grieving time bearable. “Let us hold unswervingly to the hope we profess, for He who promised is faithful” (1 John 10:23). Myth # 2: Your doctor is responsible for choosing end-of-life options. Most often, a doctor’s focus is on a cure. It is a relatively new practice in which comfort measures, not curative ones, are emphasized. Hospice is one of the palliative care options for those terminally-ill individuals who no longer want to undergo aggressive, sometimes intolerable, treatments in the hopes of being cured of a disease. Doctors may feel uncomfortable changing the focus from cure to comfort measures. Medical professionals may be looking for clues that the family approves of these comfort options at the end of their loved one’s life. The best way to let your doctor help you make informed decisions regarding end-of-life care is to ask her. What is her experience with hospice care? If she had the same health condition you do, what would she do? Does the doctor recommend any written information or people resources? You might want to tell your physician ahead of time that you’d like to discuss this topic. This ensures proper preparation and time to get the answers you need. Ultimately, your health care is your personal responsibility! Be the “squeaky wheel”! Ask about treatment and comfort options and be assertive in expressing your needs and desires. One way to express your wishes is to sign a Christian end-of-life document. (Click here to download CLR’s Christian version of your state’s (and some Canadian provinces’) durable power of attorney for healthcare document; click here to purchase; or call 800-729-9535 to order one [NOTE: There is a charge to order paper copies].) Be sure to let your health care providers know the location(s) of the documents that clarify your medical preferences. Myth #3: It’s better to discuss end-of-life options after a terminal diagnosis is received. Think for a moment about the college student who believes cramming all night before a test is better than a month-long assimilation of pre-exam homework. What usually happens to a person’s thinking processes when pressured or stressed? Even a person who is generally able to handle unexpected crises knows that advanced planning is worth the effort. It is easy to say, “I will talk to my family about it when they need it,” or “Things will work out when the time comes.” Jesus urges, “You also must be ready, because the Son of Man will come at an hour when you do not expect him“ (Luke 11:40). We don’t know how much time we have to seek and spread his kingdom on earth. Our culture offers an abundance of classes, books, and other information for parents expecting new life. Equally important is preparation for the inevitable step into eternal life! “Always be prepared to give an answer to everyone who asks you to give the reason for the hope that you have” (1 Peter 3: 15). Fear and guilt are powerful motivators. Yet Christians know that God-given faith is the ultimate motivator: “We know and rely on the love God has for us”; “perfect love drives out fear” (1 John 4:16,18). We are graciously invited to “draw near to God with a sincere heart in full assurance of faith, having our hearts sprinkled to cleanse us (through Christ) from a guilty conscience” (Hebrews 10:22). His grace is too big to be detoured by our slips in trust. God has gifted us with faith, not vice versa. If loving parents promised an adventurous vacation, don’t they help their family prepare for the trip? When a child appears at the parents’ bedside during a loud thunderstorm, don’t they calm their fears? Jesus compared such parental grace to the Father’s compassion: “Which of you fathers, if your son asks for a fish, will give him a snake instead?…how much more will your Father in heaven give the Holy Spirit to those who ask him?” (Matthew 7:10,11). The Lord wants us to ask for and trust in His blessings in daily life and in preparation for death. As His dearly-loved children, we can place our end-of-life decisions and anxieties in the Savior’s capable hands. “Set your hope fully on the grace to be given you” (1 Peter 1:13). What do you value most in life? What will be most important to you during your last days of life? Personalize and share God-pleasing end-of-life options with your loved ones and health care providers. No matter what your age or health status, it is prudent advice to: “Teach us Lord to number our days aright, that we may gain a heart of wisdom” (Psalm 90:11). Sue Fink has been involved in nursing home and community care work for years. She currently does some marketing work for Holy Family Memorial Hospice in Manitowoc, Wisconsin, where she also serves as their Volunteer Coordinator. Sue is certified as a WELS staff minister and was an active member of a CLR affiliate for many years. She and her husband, Bob, have three children and reside in Manitowoc, Wisconsin.